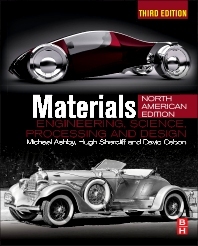 Materials, Third Edition, is the essential materials engineering text and resource for students developing skills and understanding of materials properties and selection for engineering applications. This new edition retains its design-led focus and strong emphasis on visual communication while expanding its inclusion of the underlying science of materials to fully meet the needs of instructors teaching an introductory course in materials. A design-led approach motivates and engages students in the study of materials science and engineering through real-life case studies and illustrative applications. Highly visual full color graphics facilitate understanding of materials concepts and properties. For instructors, a solutions manual, lecture slides, online image bank, and materials selection charts for use in class handouts or lecture presentations are available at http://textbooks.elsevier.com. The number of worked examples has been increased by 50% while the number of standard end-of-chapter exercises in the text has been doubled. Coverage of materials and the environment has been updated with a new section on Sustainability and Sustainable Technology. The text meets the curriculum needs of a wide variety of courses in the materials and design field, including introduction to materials science and engineering, engineering materials, materials selection and processing, and materials in design. Undergraduate materials, mechanical, chemical, civil & aeronautical engineering students taking courses in materials science & engineering, materials processing and engineering design. Hugh Shercliff is a Senior Lecturer in Materials in the Department of Engineering at the University of Cambridge. 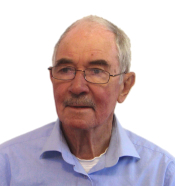 He is a co-author of Michael Ashby's Materials, Third Edition (Butterworth-Heinemann, 2013), and a contributor on aluMATTER, an e-learning website for engineers and researchers sponsored by the European Aluminium Association.